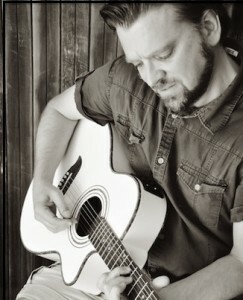 Paul Seeba is a singer/songwriter who lives in St. Paul (originally from Hibbing) with his wife and two daughters. He is also a student of history and a teacher of it. This background comes out in his lyrics and music. He plays live as a solo act throughout the Upper Midwest. Paul plays a variety of acoustics during the night of his solo act switching from 6 to 12 string and to different tunings. In addition, he plays in a four piece band called The Mitchell Yards. His debut album, “Mitchell Yards,” was recorded in seven sessions at Sparta Sound in Eveleth, MN. It has received international radio play and solid reviews from international sites such as Americana UK. The 13 track album offer heartfelt lyrics, strong harmonies and the interplay of acoustic/electric guitar layers that definitely falls into an alt/indie roots rock genre. The lyrics are often impressionistic, but also willing to challenge a listener to unorthodox themes within a specific story. However, the tales remain murky enough to allow for multiple interpretations.